Myths are a tricky thing. One person can say it and overtime people believe them to be fact. Myths have made their way into health and exercise so it’s time we debunk a few of them. All Cardio Is The Best Way To Go: Cardio is great, but it is not the only exercise we need. Putting in more time doing cardio helps you burn more calories and create a calorie deficit, however, you need to build lean muscle as well. Strictly cardio is not the way to go but cardio and strength training is. Strength Training Will Make Me Look Like A Man: Sweetie, no. Women don’t have as much testosterone as men which makes it pretty difficult for women to bulk up. Strength training, although it generally helps mean bulk up, helps women generally get leaner. Sweat Dictates How Hard I Worked: You can not allow how much you sweat to dictate how hard you’ve worked. Sweat comes because your core temperature increases but your body is also affected by the outside temperature your body is in. Some people drip sweat from the face, backs and more, while others look as if they’d never worked out in the first place. This doesn’t mean that one put in more work than the other. I Can Eat What I Want And My Workout Will Cancel It Out: Girl! You know that isn’t true. Some people have higher metabolisms which make this seem true but its not. If you want the healthiest lifestyle and the best possible results, change your diet and workout accordingly. Don’t believe in the myths! Find out what’s true for yourself. Obtain all the knowledge you can and take care of yourself and make sure you keep yourself healthy, Lovelies! To learn more, please follow Black Girl Health on Instagram and our blog. If you would like to be a vendor the Black Girl Health Kickstart Expo, visit our website. Tickets are now on sale for the Black Girl Health Kickstart Health & Wellness Expo, visit here to purchase. Dominique is a writer who has a passion for fitness, health, beauty and more. She loves researching these things in order to live a better lifestyle and is excited to help you live one too! 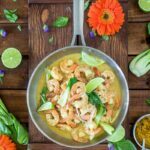 Pros and Cons of a Pescatarian Diet! 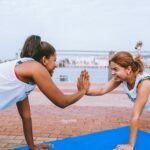 Black Girl Health is a digital health organization geared towards transforming every day minority women into well informed, healthier individuals.